From your front door, to your back porch, and every room in between, we have the products to make your home even better! Win a $1,000 home makeover to enhance your home’s curb appeal, increase your home’s energy efficiency, or transform your home’s outdoor spaces. In addition to making your home better, you’ll be making your community better! LARSON is giving away a Habitat for Humanity home build in the community of the winner’s choice. * Home ownership plays a critical role in strong and stable communities. We all know the feeling of walking in our front door and feeling a sense of safety and security – a feeling we call “home”. Let’s create one together. LARSON Manufacturing has been a Habitat for Humanity Cornerstone Partner for decades, donating thousands of doors to the organization. 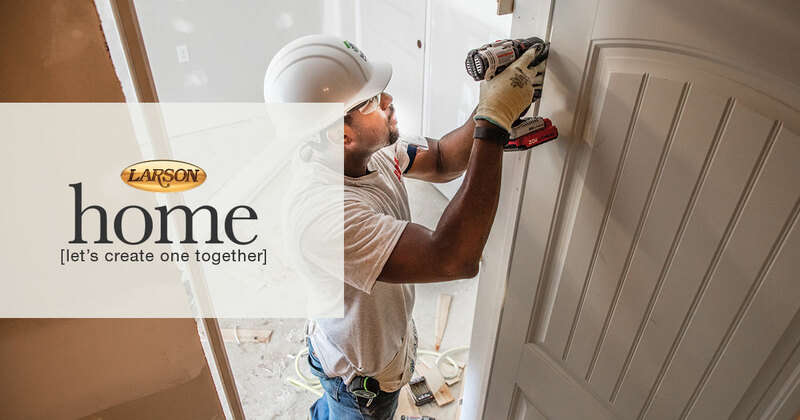 In fact, we proudly donate over 3,000 storm doors annually to Habitat for Humanity International, an organization that builds homes for those in need. Additionally, we are committed to annually funding the construction of a Habitat Home in each community in which we have operations. LARSON has a long relationship with Habitat for Humanity. 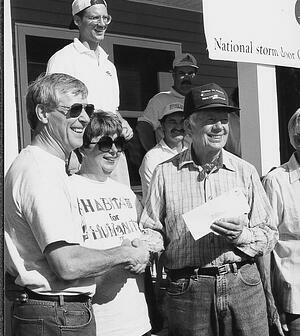 In 1990, Dale Larson and LARSON employees traveled and installed new storm doors on 60 homes as a part of Habitat for Humanity and met President Jimmy Carter during the process. Larson Manufacturing and the Larson Family Foundation found a match in the Habitat mission of helping families break the poverty cycle and build long-term financial security through affordable housing. 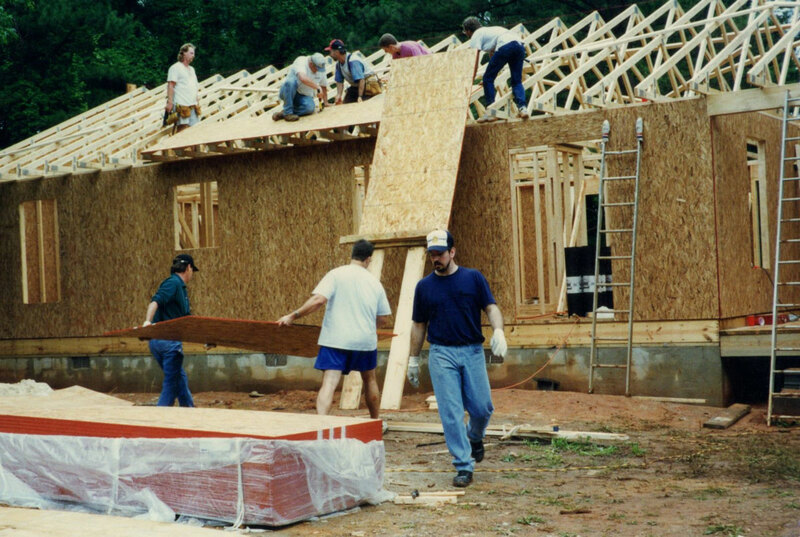 For more information on Habitat for Humanity International, visit http://www.habitat.org. 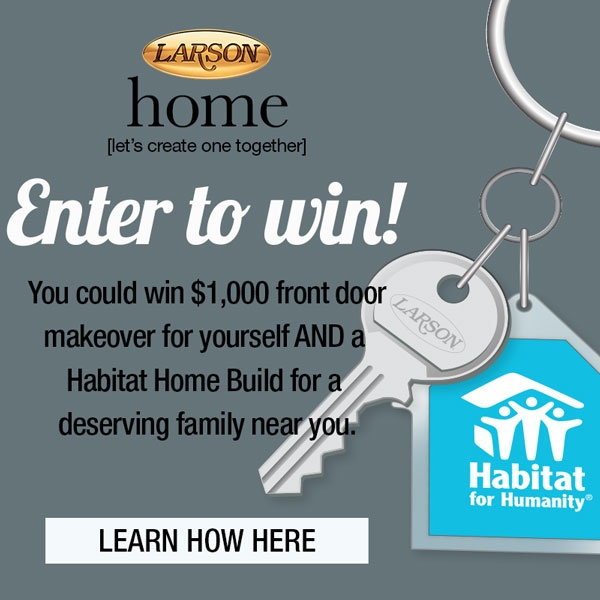 * The sweepstakes winner will be offered the opportunity to choose the location for the Habitat for Humanity home build or remodel from a list of locations provided by LARSON.